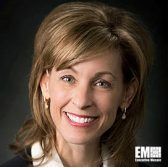 Leanne Caret, president and CEO of Boeing’s defense, space and security business, has said cost-cutting measures and an accelerated decision-making process helped drive the company’s government contract proposals to be more competitive, the Wall Street Journal reported Thursday. “This is the year where the first results from all the steps we have taken will be apparent to everybody,” Caret, a two-time Wash100 recipient, told WSJ in an interview. Her remarks came after Boeing won a potential six-year, $805.3M engineering and manufacturing development contract in August to build four MQ-25 Stingray carrier-based drones for the U.S. Navy. The company also secured in July a potential $3.9B contract from the U.S. Air Force to design and modify two presidential aircraft. The report said Boeing’s defense arm is a contender for several contracts, including a potential $16B contract to develop the Air Force’s T-X trainer aircraft and a $2B program to build helicopters designed to protect the country’s nuclear missile bases.